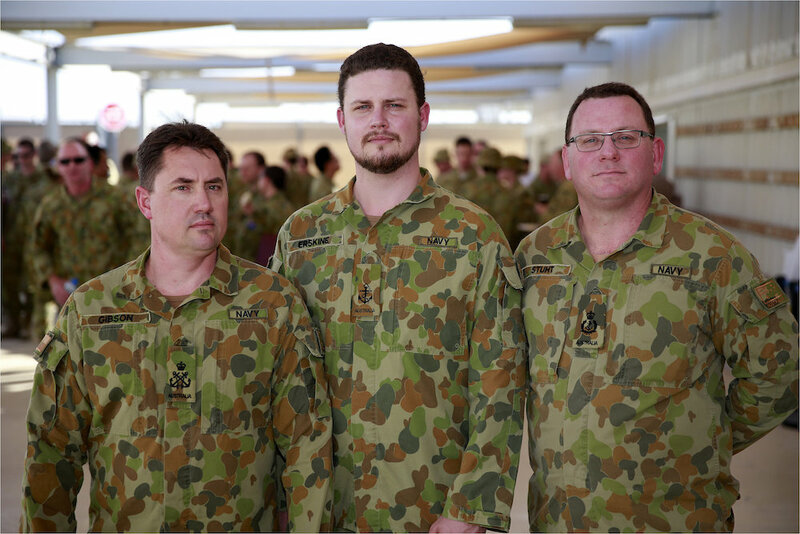 From Australia's main logistics base in the MER, around 400 ADF personnel provide support to Australian operations throughout the region, including Operations OKRA, HIGHROAD and MANITOU. The Force Communications Element (FCE) is an ADF joint unit primarily made up of Army and Air Force personnel with a small number of Navy personnel. The Force Communications Element is responsible for the provision of national command and welfare communications and information systems to deployed Australian members throughout the MER. The three Royal Australian Navy members who deployed with Force Communications Element 1. The Combat Support Unit is responsible for logistics and ground support for aircraft assigned in support of Op ACCORDION and OKRA. The Combat Support Element also provides administrative and support functions to the main logistics base for ADF operations in the Middle East Region. The Air Movement Task Unit consists of the air crew, aircraft maintainers and the aircraft that enable HQ JTF633 to provide air support to OP ACCORDION, OP MANITOU, OP OKRA, and OP HIGHROAD as well as planning for contingency operations.